Foodies and wine lovers are invited to enjoy an evening of fabulous food, wine and music to benefit the Honolulu Japanese Chamber of Commerce at its 11th annual event called Chopsticks & Wine featuring “Wine…And All That Jazz.” On Thursday, October 18, 5:30 p.m. to 8:30 p.m. Held at the Hawaii Convention Center, is one of Hawaii’s signature foodie events will feature the culinary delights of over a dozen of Hawaii’s most respected chefs and the wines to go with it. 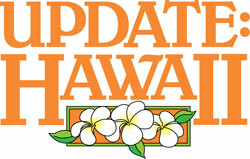 Participating restaurants include Alan Wong’s Honolulu, Beachhouse at the Moana, d.k. Steak House, Gokujo Sushi by Marukai, Gyotaku Japanese Restaurant, Kai Market, Le Bistro, Mariposa at Neiman Marcus, Poke Stop, Prince Court Restaurant of the Hawaii Prince Hotel Waikiki and Golf Club, Royal Hawaiian Shopping Center (Chibo Okonomiyaki Restaurant, Five Star International Buffet and Wolfgang’s Steakhouse by Wolfgang Zwiener), Ruth’s Chris Steak House, and Shokudo Japanese Restaurant & Bar. There will also be a premium wine tasting within Chopsticks & Wine, for wine lovers called “Speakeasy,” an exclusive wine tasting experience. Speakeasy will showcase five cabernet sauvignons and/or blends. Admission to Speakeasy is $75, which is in addition to the regular admission fee. Guests will be drooling over the Sous Vide Vintage N.Y. Steak Donburi with Roasted Hau‘ula Tomato Vinaigrette being prepared by d.k. Steak House. Or if you’re wondering what the “Lipstick” Shrimp Tacos being served by Alan Wong’s Honolulu are, you’ll have to buy a ticket to solve the mystery. A complete list of dishes being served at the event is included below. Delta Construction Corporation and the Honolulu Star-Advertiser are the event’s gold sponsors. Participating distributors Coastal Wine & Spirits of Hawaii, Grand Crew Wine Merchants, Paradise Beverages, Southern Wine & Spirits of Hawaii and Young’s Market Company of Hawaii will be providing a wide array of fine wines, sake and beers for sampling. Hawaii Deep Blue will be providing water. Tickets for Chopsticks & Wine 2012: Wine…And All That Jazz are $125. Reserved tables are available for purchase starting at $2,500. For tickets or more information, call (808) 949-5531, email info@honolulujapanesechamber.org, or visit www.honolulujapanesechamber.org. Proceeds from both the event and the Speakeasy wine tasting experience benefit the Honolulu Japanese Chamber of Commerce and the programs it provides. The Honolulu Japanese Chamber of Commerce is one of Honolulu’s major business organizations, representing a cross-section of the city’s businesses, industries and professions. With a Pacific-wide view of business and economic development, the Chamber serves as a catalyst for creating business connections and building lasting relationships. Its office is located at 2454 S. Beretania Street. Its website is www.honolulujapanesechamber.org.